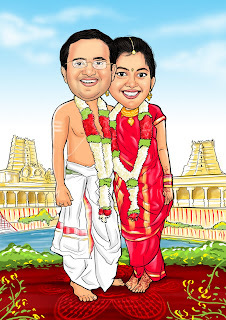 When the mind is back at work...: When marriages are made in Bhoologam... - "You are invited!" 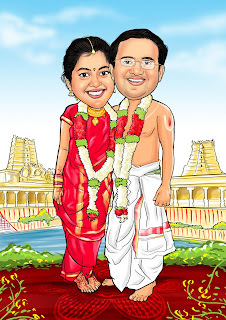 When marriages are made in Bhoologam... - "You are invited!" doughnuts in place! 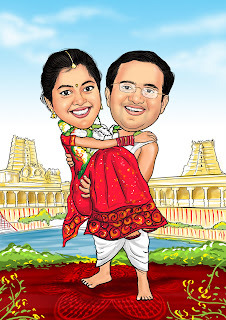 Imagination goes out on the air and what comes out it what one loves to see as their own wedding invite for ages to come and nothing shall minuscule the joy of inviting near and dear ones with the best of their works! Deviating a little and making this post a little specific to my wedding, I hereby share the making of my wedding invite.... snippets from behind the scenes! 2) We even tried getting converted into the other half of Tam-Brahms, so that we don't have to change the invite further! 3) But finally, we knew we can't change and ended up being the real ourselves!!! This being brought out in public, wondering what would have gone behind the scenes of the hundreds of wedding invites I've seen over years... am sure there is a story behind each one of them!!! ah ipo yaar iyer iyengar nu theriyama enaku romba ragea irukku! purinjuduthuuuuu! :D off to the wedding! @porkodi - totally sry ma.. one stupid line made u get the stry wrong! neither of us are iyengars! both of us are agmark iyers! given the 100 little taks am off to, this post came up in such a hurry tht i dint read twice!! !